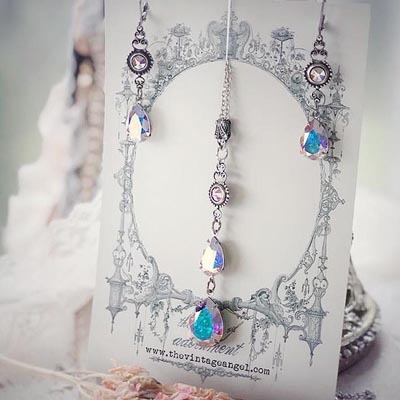 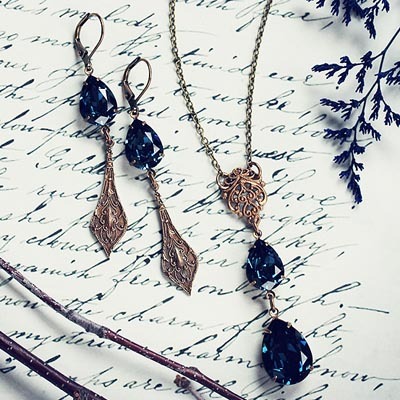 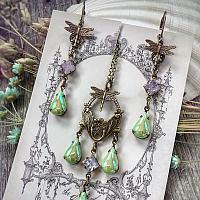 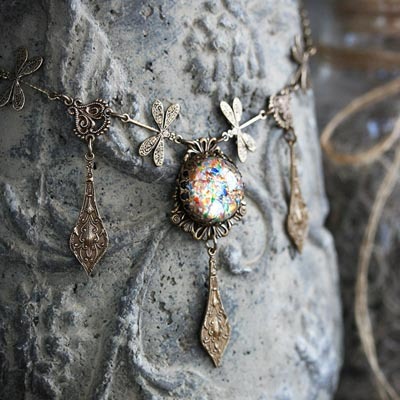 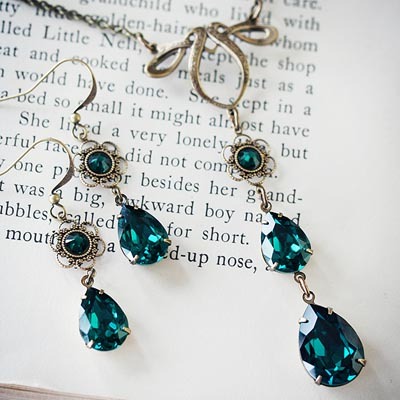 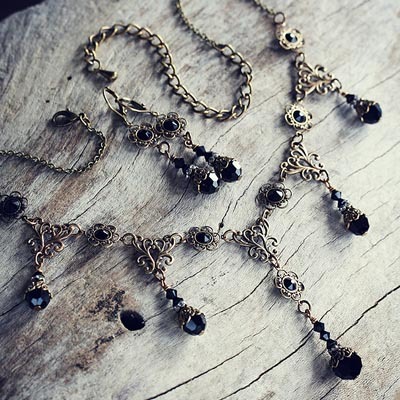 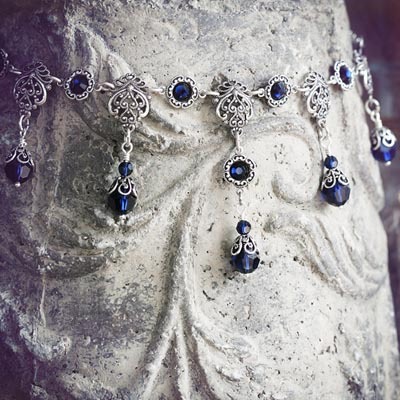 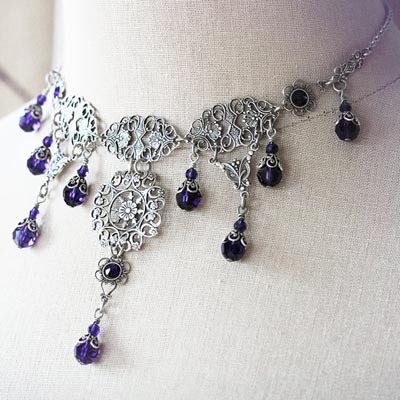 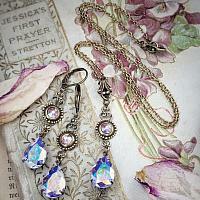 Welcome to our gallery of decadent, Victorian-inspired necklace/choker and earring sets. 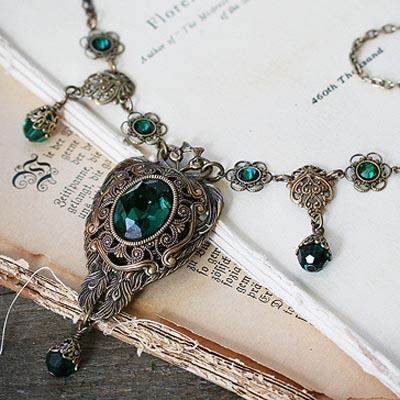 Each highly detailed set, inspired by the Renaissance and Victorian periods, spares no detail and is made to order with love and care in our studio, please allow 1 - 2 weeks from the time you order until we ship your treasure. 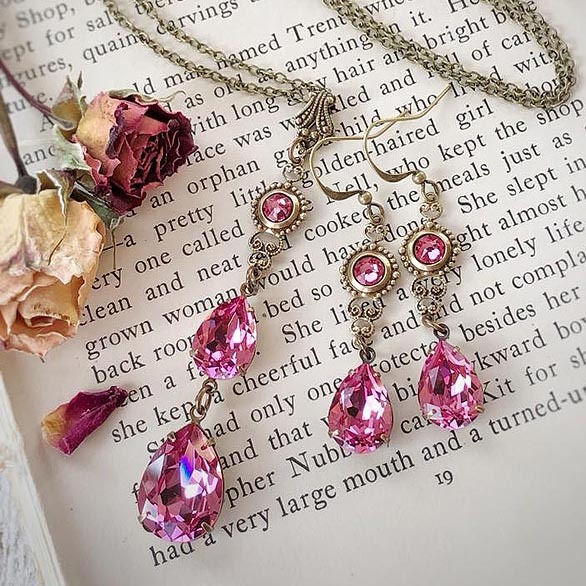 All necklaces/chokers come gift boxed with matching earrings as shown as a set.